This is a common skin disorder that mainly affects one's scalp, causing scaly, itchy, red skin and stubborn dandruff. This can also affect your face, upper chest, back and other areas of the body that mainly have oil glands. In infants, this condition is known as a cradle cap. This condition isn't contagious and is not a sign of poor personal hygiene. Sometimes, Seborrheic dermatitis appears to run in families. Doctors suggest that it may occur due to a combination of hormone levels, weakened immune system, and lack of certain nutrients or nervous system problems. 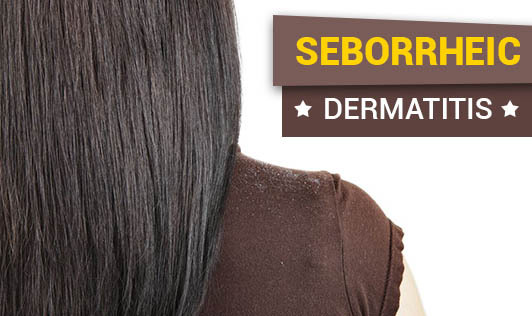 Contact your dermatologist if you or your child has any signs or symptoms of Seborrheic dermatitis!